Precise, robust and convenient: both you and your patients will benefit more from the new seca 700LBSH. It sets a new standard worldwide. More precision due to the 0.1 lb graduation and a higher capacity of up to 500 lbs. More comfort due to the very flat, large platform and the eye-level beam. 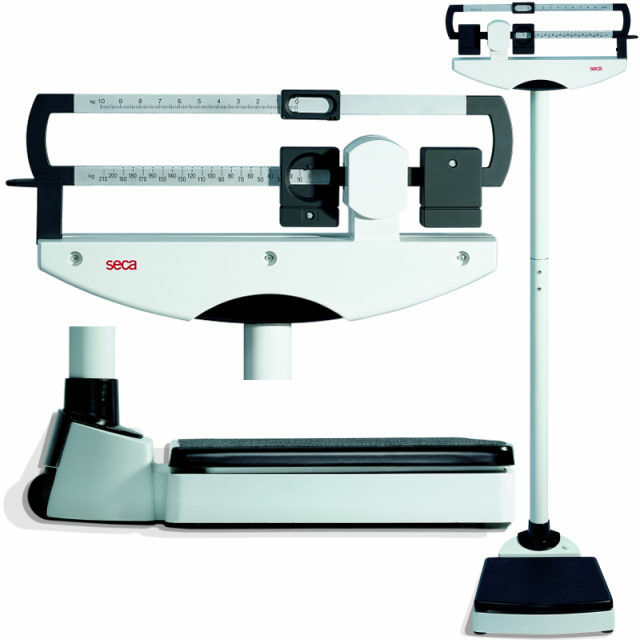 The included measuring rod with a range from 24 – 78" facilitates time-saving measuring and weighing in one step. Equipped with integrated transport castors for mobile and flexible use.